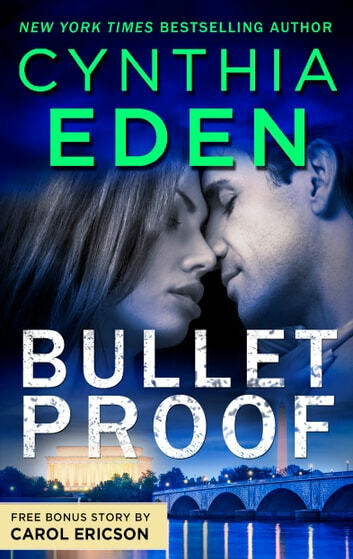 HE WAS ASSIGNED TO PROTECT HER—NOT MAKE HER HIS OWN IN THIS SHADOW AGENTS CLASSIC FROM NEW YORK TIMES BESTSELLING AUTHOR CYNTHIA EDEN, ORIGINALLY PUBLISHED AS GLITTER AND GUNFIRE IN 2013. Former Army Ranger Cale Lane had his orders: keep Cassidy Sherridan alive at all costs. But who sent six armed men storming the Rio ballroom to take her out? The gorgeous party girl wasn’t giving it up. Now he had a more urgent mission: uncover Cassidy’s secrets...one by one. FREE BONUS STORY INCLUDED IN THIS VOLUME! Enjoy LOCKED, LOADED AND SEALED by Carol Ericson from her RED, WHITE AND BUILT series! The SEAL’s secret assignment had been to protect a certain important doctor. But when the man is murdered, Austin Foley’s mission changes. The navy sniper must now protect the doctor’s protégé the irresistible Sophia Grant, at any cost. There’s only one problem: Sophia has no idea what those secrets she holds.